While all you Americans slept, Acer took the wraps off its latest Android handset, the Liquid Metal, over here in Europe. 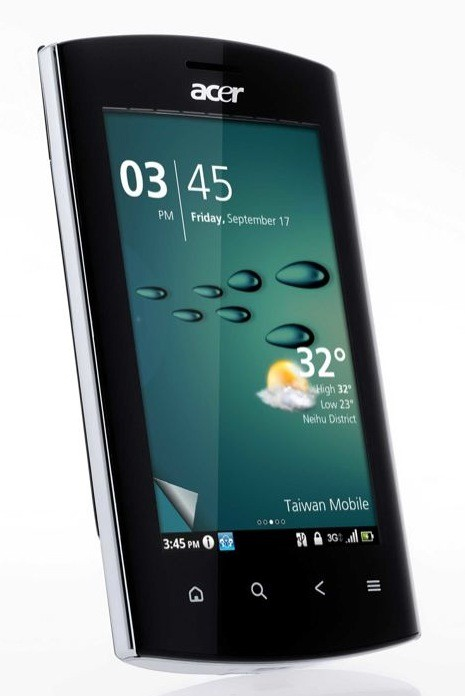 Sporting Acer's custom Breeze UI, the Liquid Metal runs Android 2.2 atop an 800 MHz processor. The MSM7230 CPU is a whopping 32 MHz higher than the 768 MHz of the original Liquid's QSD8250 Snapdragon, but this 800 MHz core is the same Scorpion processor that powers the rather lovely T-Mobile G2. If the G2's performance is any indication, this processor is no slouch (particularly when overclocked), so things are looking quite nice indeed for the Liquid Metal in terms of smoothness of operation. All of this for only £300 ($475) SIM-free sounds like a fairly good deal, don't you think? Black and brown models will be available by mid-November, with a silver model to follow at the beginning of December. 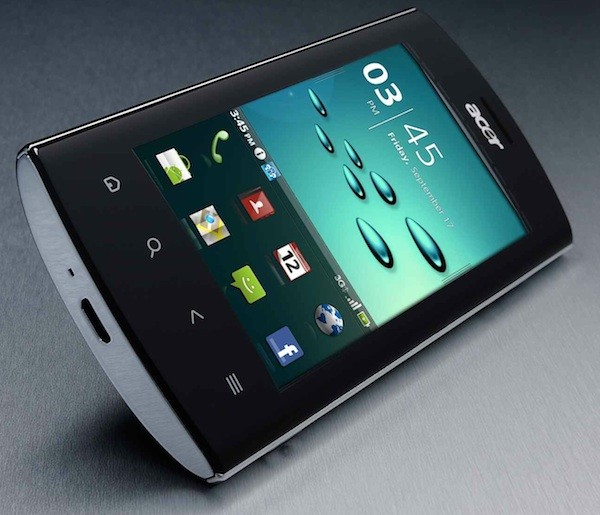 London, 29th October 2010 – The Acer Liquid Metal is the latest generation of Acer smartphones, featuring the best solutions currently available on the mobile market. Designed for all those who live a modern, dynamic, and fully integrated lifestyle, this is the perfect tool to meet the growing need to be connected anytime and anywhere. Thanks to extremely quick web surfing and an incomparable use of multimedia contents, these dreams become reality. When we speak about technological evolution, Acer is always one step ahead thanks to its proven capacity to translate the most sophisticated technological innovations into products that are easy to use. Moulding the most advanced technologies and integrating them into the latest smartphone is the logical consequence. Style and elegance characterise the soft, sinuous, and curvy design for the perfect grip. Liquid Metal is equipped with a rounded 3.6" display especially studied to grant a truly sensational visualization. The materials selected, like the stainless steel of the battery cover, are solid and resistant and the chrome trims give a sense of high quality for extreme tactile and visual pleasure. As in the entire Acer Liquid series, we find the LED signals on the upper part of the telephone notify the user of missed calls, the need to charge the battery, and new incoming messages clearly. - with the multitouch function, resizing web pages, photos, or maps is easier than ever. Liquid Metal also brings the best multimedia experience and entertainment. - Enjoy the thrilling audio brought by the Dolby Surround technology and customize the sound you hear with the EQ profiles and Dynamic Bass Boost. Liquid Metal shows its excellence not only in its style and power, but brings delightful user experience by the intuitive interface and software developed by Acer. - Acer SocialJogger Application aggregates your Facebook and Twitter feeds, allowing you to surf through the updates with the trackwheel, receive updates directly through the dedicated widget on the homescreen, and comment or share directly from the user-friendly interface. Liquid Metal is transformed into a true wireless server for all your home devices through DLNA/UPnP technology. All the multimedia content memorized on the smartphone can be shared with your PC, TV or game console. Moreover, it is capable of providing your computer an Internet connection via USB. This is truly useful for travelling by train or when on vacation. The Acer EasyLink PC software is free of charge and even enables a protected Internet connection (https). Do you want even more? This smartphone of the latest generation can become a WiFi hotspot for all enabled devices, so as to connect them to the Internet via the Liquid Metal 3G connection. The Liquid Metal will be offered in two colours: silver and brown for a SRRP of £299 inc Vat. The brown will be available first from mid November with the silver arriving in early December.